My boys love this for an extension to their outdoor rainy day puddle play! First, gather your supplies and make the puddles! 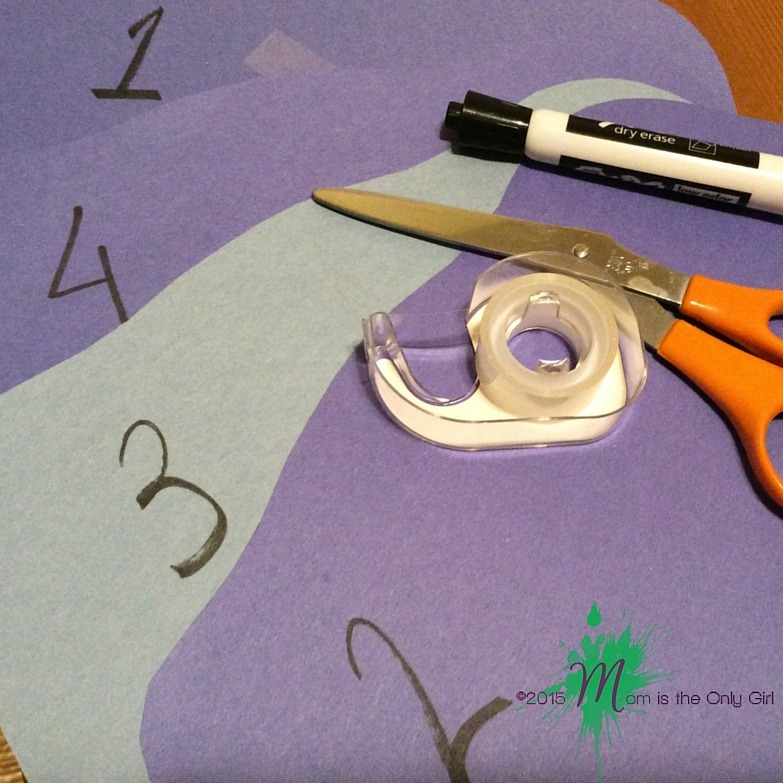 Construction paper, scissors and some tape. Take blue construction paper (or gray or whatever color signifies a puddle to you – I suppose even black!) and cut it in a very rough circle. You know, puddle-ish. Cut out however many you want. Next, number the puddles and get your tape handy. Tape your puddles down on the floor. Not the rolled tape and stuck to the back, it’ll need to be stuck down a little more than that!  Make enough puddles so that there are several in every room on the first floor of the house. When the dice are rolled you have to find the total and run to find that number on a puddle! 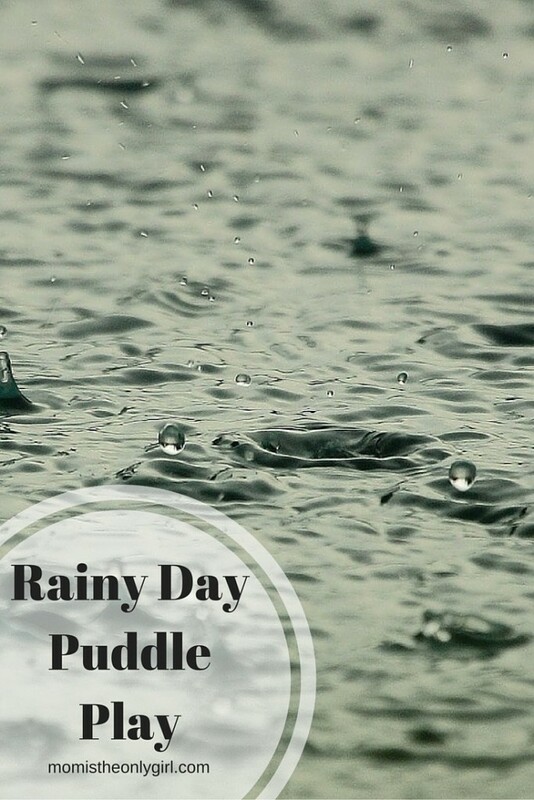  Get out the pom poms or cars or some other little objects and go from puddle to puddle counting out that many objects.  On each puddle write an activity or exercise (like jumping jacks or spins or sit-ups). Roll the die and run to the puddle, then do that many of whatever activity is indicated on the puddle. Really this game can be modified however you would like! You are limited by your own imagination! 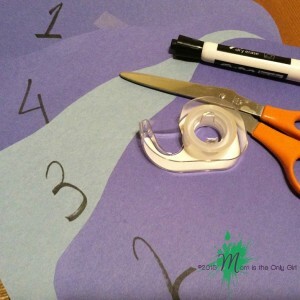 You can tape the puddles down in numerical order, in a line, scattered throughout the room or house randomly…you could do this with the alphabet, you can simply make puddles out of different colors of construction paper and have different colors on the die that is thrown. The ideas are limitless, so you can easily modify this for any age-range. Be prepared for your puddles to be totally destroyed at the end of the game especially if activity is happening on top of them like at my house! Find some puddles or make them! Come back and share how you made the game just right for you and your kids! We’d love to see how different age groups came up with different ways to play!